There is need to give much space to Kinyarwanda, especially starting from among the youth. Despite having been a great national communication asset to our ancestors for centuries, it turns out that today this language is being apparently undermined and replaced in some cases by foreign languages such as English, French or Kiswahili. The problem is so concerning that some young Rwandans today are funnily unable to pen down their names in mother tongue. What is laughable enough though is that they are not able to master those foreign tongues either. Here is what Gatete Nyiringabo Ruhumuriza, a Rwandan blogger, reseeracher and lawyer, yearning to promote Kinyarwanda language, thinks can help build strength and admiration for their mother tongue, where they get it wrong and what could be the remedy. Let’s see: with (fake) English you get better customer service, you are popular, you impress in interviews, you work in fancy places. With Kinyarwanda you get appreciated by Urujeninka and Tom Ndahiro. And they aren’t hiring lately. The day will come when Kinyarwanda will be a socio-political criterion. Having attended RPF 30 and Umushyikirano2017, I can tell you that that day is already here. The President spent ample time on the issue. I hope that scares you enough to start practicing now. Also, one can’t really understand Rwanda and Rwandans, without a strong mastery of Kinyarwanda. And to understand Rwanda is critical to politics, business, arts and ‘sustainable efficiency’ in Rwanda on a long term. 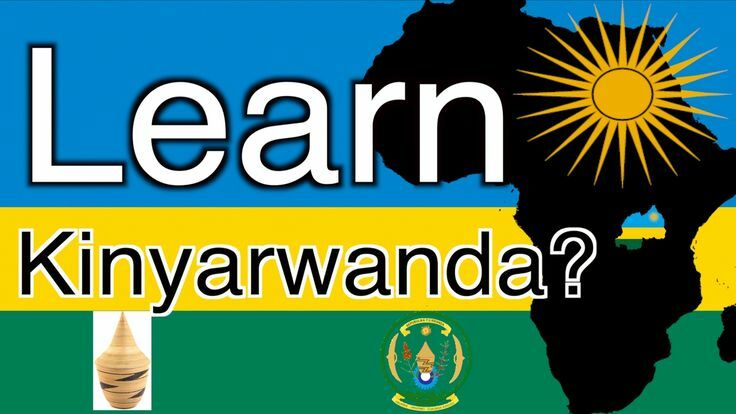 In practical terms: Kinyarwanda is among the widest spoken languages and identities in the Greatlakes and EAC, spoken by over 50 million people. Kinyarwanda is a gateway to African languages such as Shona from Zimbabwe and Luhya from Kenya. As such, Kinyarwanda is a rich Bantu language, entrenched within African ancient philosophies. Kinyarwanda is actually a language of the erudite and the elite. Its mastery is a privilege. Scholarship and practice of high class Kinyarwanda is a sign of nobility in Rwanda, and accents distinguish classes. Mind you Rwandans learned foreign languages; but they spoke them separately and Kinyarwanda distinctly. With the post-exile generation, things have been turned up-side down: People can be forgiven for speaking foreign languages with an exotic accent, not The mother tongue Kinyarwanda with foreign accents. For such was the wish of Jeanne Kaligirwa, when she composed the timeless ballad ‘Turaje’, urging us all Abanyarwanda to lend a hand and pick each other up. Why Is Rwanda Coming On The To-Visit List Of Global Travelers?